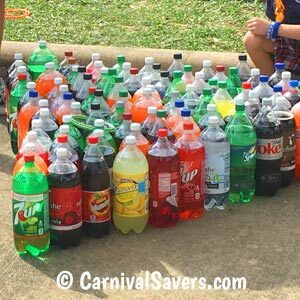 Easy School Carnival Game: 2 Liter Ring Toss! See our tips below how to get Soda Bottles for Free! Set up large grouping of 2 Liter Soda Bottles in a triangle shape 2 - 4 dozen or more on the ground. 2. How close the 2 Liter Bottles are to one another. *The small hard, plastic Cane Rack Rings make this game VERY DIFFICULT!! If you give the players 5 chances, generally just one in about 25 players will ring a soda bottle if the 2 liter bottles are touching and in a large triangle shape as shown above. Please let your volunteers know what to expect! Players are given either 5 rings (for the smaller rings) or 3 rings (for the larger rings) for a chance to loop a 2 liter soda bottle. If they have the larger rings, they need to loop 2 soda bottles to win a soda! Be sure the sodas are not touching each other or this game will be way to easy! 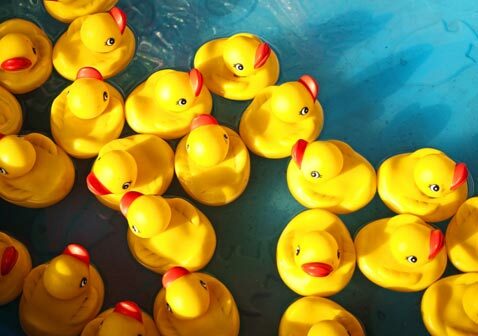 Our story: Years ago, one of our team members was a volunteer at a school carnival. They had originally set up to use Glow-in the-Dark Bracelets as the rings, but the volunteers worried when 5 or 6 children in a row did not win, and thought the game was too hard. So they connected two bracelets together to make larger rings. Well... long story short, the volunteers did not know that the number of sodas was about 150 for a 4 hour carnival, and the planners were counting on about 1 in 10 kids to win a soda. With the larger rings, about 1 in 3 kids were winning and volunteers were sent to the grocery store to buy about 100 more 2 liter soda bottles. 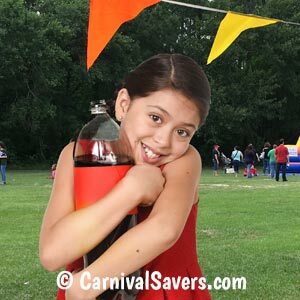 If the volunteers had been told that we expected only 1 in 10 or so kids to win, and possibly adjusted the game a little (made a larger triangle of sodas to make the game a little easier), the 2 liter bottles would have lasted the entire carnival. Lesson Learned: be sure your volunteers know about how many kids should be winning and have a prize/game runner checking on the games and answering questions! This carnival booth sounds "ordinary" to adults - but kids at our school love it and we have seen schools have two games running at the same time as the lines are always long for this game! 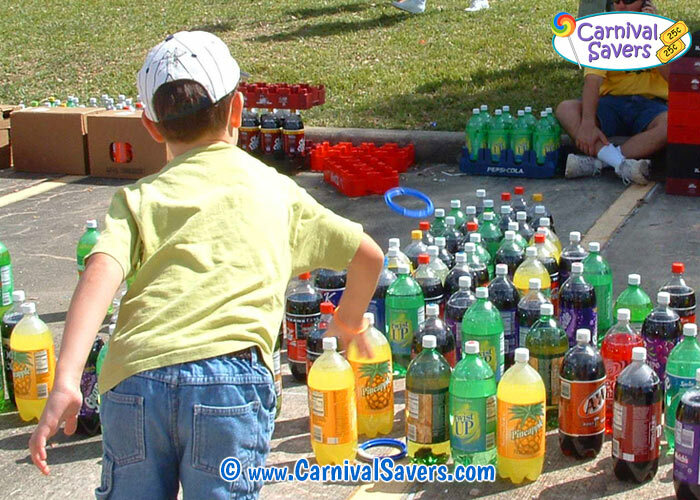 CHOOSE YOUR PERFECT "RINGS" & PRIZES at the 2 Liter RING TOSS SCHOOL CARNIVAL GAME!